Choosing a Heating & A/C Contractor is a Big Decision. As a homeowner, some of the biggest investments within your home include your heating and air conditioning systems. Whether you're building a new home or upgrading your existing one you need someone to depend on for the best products and services, without breaking the bank. At Atmosphere, we believe you shouldn’t have to worry about finding a new, trustworthy contractor for all your Heating and Air Conditioning needs. That’s why Atmosphere offers Nova Scotia homeowners three valuable services — Heat Pump, Air Conditioning and Air Quality systems — all under one roof. Atmosphere is dedicated to carefully matching the comfort needs of Halifax residents, with an expanded choice of product innovations from leading manufacturers, such as Carrier®. Rely on Atmosphere Climate Control to keep your home safe, easy to use, and comfortable for you and your family. Atmosphere has always operated as a family-owned company. Originally started because we saw a need for more good old fashioned customer service, the way that a service company should be. Our mission has always been Quality over Quantity. Our dramatic growth has been a result of customer trust, experienced service and proven performance that is second to none. These key-operating principles and the hands-on leadership and management of our family have helped us become one of the most trusted and successful climate control companies in Halifax, Nova Scotia. We are more than a typical contractor; we are an award winning dealer for Carrier and a family who loves helping other families. Why choose atmosphere climate control? At Atmosphere, we understand the importance of finding the right HVAC, plumbing or electrical contractor. That’s why we have worked to become the best heating and air conditioning contractor in Halifax by ensuring our technicians go through extensive training to become Nate, CGC and Carrier factory certified to work on today’s most technologically advanced systems. The Red Seal, which is short for Red Seal Interprovincial Program, is a universally recognized and highly prestigious certification of apprenticeship in Canada. It is an endorsement of the skills and experience that apprentices have acquired in their chosen trade. You MUST be a RED SEAL certified technician or registered apprentice to install and service heating and air conditioning equipment in Nova Scotia. “NATE” is the abbreviation for North American Technician Excellence. NATE is an independent, third-party, certification organization for HVAC technicians. NATE is the largest such organization in North America. NATE is owned, operated, developed, and supported by the HVAC industry. Participation in NATE is voluntary. The CGC Global Quality GeoExchange™ Program® is a comprehensive, voluntary, quality assurance program. The ultimate objective of the CGC is to protect homeowners in the existing and new construction markets with homes heated by GeoThermal technologies. The CGC offers certification through course instruction and training of the proper installation and design of Geothermal systems. 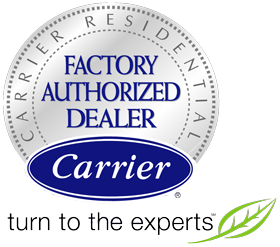 Carrier’s Factory Authorized Dealers (CFAD) earn our distinction by consistently performing to rigorous standards of quality for factory endorsement. CFAD's participate in extensive factory training on technical aspects of equipment installation, maintenance, and repair. We identify and recommend solutions that provide excellent comfort and value specific to your needs while incorporating Carrier products that are energy-efficient, reliable, quiet and environmentally sound. Only 1% of HVAC companies in North America make the cut to be CFAD recognized because of the rigid criteria for quality, knowledge, customer service and integrity. Why are we the top rated HVAC company In Halifax? With over 30 years of experience, Atmosphere operates as a family-owned company focused on helping other families with products and services for the best in home comfort. Our team has grown to become the highest rated and best heat pump, air conditioning and HVAC contractor in Halifax, Nova Scotia because we take the time and care with each and every customer we have and we do what we say we will. Our expert technicians are leaders in their fields, with the best in training, experience and certifications. Our hands-on approach and Quality above Quantity-focused mission distinguish us from other contractors. Let us help you feel right at home. Call us today for your heat pump, air conditioning, ventilation or air quality needs today.